It was Gustav Mahler's favorite symphony. It was also the one over which he labored the most. It took him six years to complete the finishing touches before it finally premiered in 1895, and it became one of Mahler's most popular and one of his most successful works during his lifetime. It was his first major work to express his lifelong belief that the afterlife and resurrection are a thing of beauty. 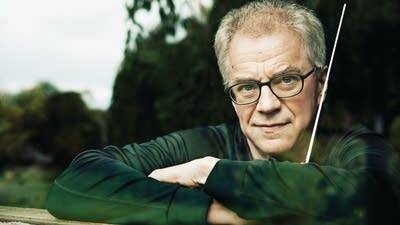 Osmo Vanska and the Minnesota Orchestra have just released their recording of Mahler's Resurrection Symphony, the third in their ongoing Mahler cycle with BIS Records. It features soprano Ruby Hughes, mezzo Sasha Cooke, and the Minnesota Chorale. "It's a masterpiece, I'm very proud of this recording," says Osmo Vanksa, music director of the Minnesota Orchestra. "It's not like the religious story. It's based for the Resurrection on the Bible, but Mahler used his own texts and so on. But it's really powerful when it comes to the point that the music is like inviting those dead people — coming back and starting to sing. That is just like goosebumps right now." It's a powerful symphony, and here's what Osmo Vanska says is most challenging. "To keep those huge forces together — especially when people are playing offstage and the orchestra is playing inside of the hall and outside — to keep all those huge distances connected so that it sounds like it's still one musical machine." Mahler's Resurrection Symphony is a drama filled with torment and tenderness. That's where the singers come in. "It's very important to have a great choir, to have great soloists. It's very short — you don't warm up first and then you can give like longer parts later, no, it's short and then it's done. And we are very lucky that we had great singers to do this. "They are doing their performance in the very end of the whole piece, so relatively short appearance. And they give like a new layer, a new dimension, for the music when the human voices are going to be there. And I already described when the dead people are coming to the point when they are making sound, and when it's very soft in the beginning and then, when you can hear the words, and when it gets, the choir gets bigger and bigger and bigger and bigger and with the orchestra — and then it comes to this glorious end." And what was most memorable about creating this recording? "When it was over. Because we worked very, very, very hard, and when we all know that now it's done. It's sometimes like bigger than the whole world."